However, it is also said in Durance's personal quest that his soul was somehow altered/shaded by the Godhammer's detonation, which is why Magran cannot recognize him as Durance. Had she been able to do so, she would have "accidentally" killed him shortly after the bomb went off (by virtue of the bond that ties priests to the gods they serve, which enables the gods to always find their followers and communicate with them.) Durance could certainly speak up, but he knows better than to bring sure fiery death upon himself Normally, gods can recognize their clergy from their souls. At the start of the game, Durance only knows that he's been spurned, not why. He's certainly not caring a bit for his own self-preservation. He's been "speaking up" for years, which is from whence the 'fiery whore' bit stems from. We are left to question whether 1) he is forever out of reach of his diety or 2) Magran approves of his soul being conflicted. Edited by Parasol_Syndicate, 13 January 2016 - 02:12 PM. Indeed, but I was referring specifically to when you talk to Magran in Teir Evron. Durance does nothing to attract Magran's attention when she fails to recognize him—and with good reason. What if Eothas is actually Woedica? The queen got exiled and depowered by Magran, but the god of rebirth was born from it. Since the plan to conquer the Dyrwood didn't work, the Leaden Key had to use a different plan to gather the souls. That's crazy! I'm not saying I don't think it can be true; but it needs polish! So, there are souls, magic and reincarnation before the Engwithians made their gods the known pantheon. So, there has to be a divine power somehow in Eora. Edited by Eisenheinrich, 13 January 2016 - 02:47 PM. But those don't necessarily mean that gods must exist. Just like we can't try to explain zombies in zombie movies without the movies falling apart after the realisation that zombies are not possible, it can't be discussed why there is magic in Eora without reaching the conclusion that magic isn't possible either. There's also the argument that the Engwithans found there were no gods. They could be wrong, of course; but the game gives reason to believe Iovara's and Thaos' (tacit) acknowledgement that the Engwithans were right, and thus, had to create the gods themselves lest the world fall into chaos. There is an important thing to consider when discussing the gods: even if they were created, how does that stop them from being gods? 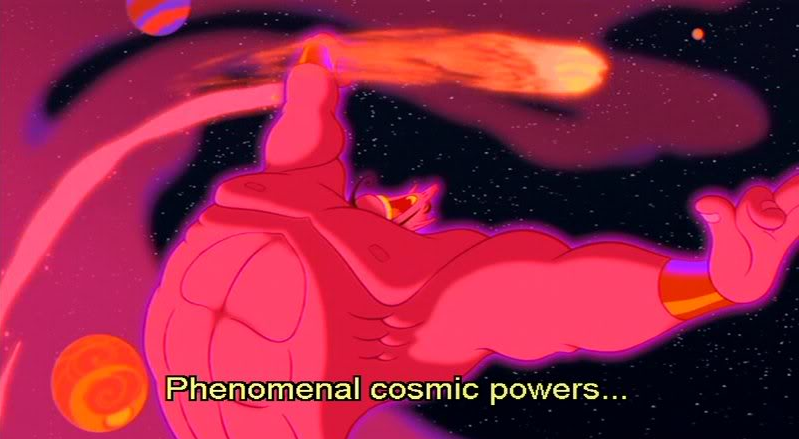 They may lie about their origin story, but they also still have "phenomenal cosmic powers!" Did Eothas really want to stop the whole plan from the beginning? That's what I understand; but I didn't find much confirmation. Since the gods aren't really gods, could Eothas have died by something so mortal as a bomb? Wouldn't that only kill the vessel? Why isn't Eothas' symbol in the place where you talk to all the gods? Is that confirmation of his death? Well, nearly everyone you encounter in the game (whether kith or deity) believes Eothas was permanently destroyed by the Godhammer. But there are a couple of books, some comments from Eder, and your own statements -- if you play as a priest of Eothas -- that he isn't permanently gone and will return at a time and place of his choosing. The mechanics of PoE provide circumstantial support in both directions. His lack of a symbol might mean he's truly gone, or it might just mean the PoE team didn't want him to have a symbol because if you spoke to him through it then you'd naturally want to ask whether he's still around. His priests still being able to cast spells might mean he never left, or it might just mean their belief in him enables them to cast. At the end of the day, it's just too much of a stretch to guess from those sorts of factors what Josh and the rest see as the final fate of Eothas. That said, it is worth noting that Eothas is the thinly disguised analogue of Lathander and has the same central portfolio of renewal/rebirth. Can we really know for sure that a deity of renewal and rebirth is gone for good? "Eothasian high priests have not received answers to their prayers since the end of the Saint’s War. They believe that the god’s anger at the mortal world is to blame. Others believe that the Godhammer destroyed Eothas in their world and Beyond. Since no evidence of Waidwen remained to prove his death, some theorize that Eothas physically drew his living avatar into the realm of the gods to escape destruction. Whether he was corporeally killed or spiritually disarmed, the end of the Saint’s War forever revised how mortals think of the gods. In that respect, Waidwen’s pilgrimage was a success." Maybe Eothas is still alive but with damaged soul like Durance? That's why he cannot speak with any creature: kith, his followers or the other gods. One thing I can't get my head around of is whether it is truly possible for a god to hide from other gods and/or act without their knowing. Wouldn't the other gods know for sure whether Waidwen was really Eothas ("Oh, look: Waidwen's claiming to be Eothas and Eothas hasn't been around for a while ... coincidence? I think not.")? Wouldn't they know if Eothas had been killed by the Godhammer ("Ah, look who's back from their sorry trip to the mortal realm in a fragile, bomb-vulnerable mortal husk. Wassup? Wanna play cards or something?")? Above all ... why would Magran bother hiding her involvement in the creation of the Godhammer bomb if the other gods could know for sure she had a hand in it? Unless, of course, hiding it from the mortals held any value for her. I don't recall the game providing any evidence either way. I've always pictured the gods as living in a ... itty bitty living space, to keep the Aladdin reference going. As in, a world so small they'd rarely be apart from each other. Not sure why I've got this mental picture; anyway ... being gods, I also expect them to know stuff (isn't omniscience a defining characteristic of the gods? They seem to be very knowledgeable about Woedica's plans, for example; and she sure had a vested interest in keeping them secret from the rest of the pantheon.) Like, sensing what the other gods are doing and where they are, or just knowing because they know. Then again, being man-made gods, I guess it is plausible for their power to have limits, albeit generous. Edited by AndreaColombo, 14 January 2016 - 10:23 AM. I am not sure it was Magran who hid her involvement in Saint's War. I understood that she wanted to hid Woedica more than herself (knowledge about Magran's work during war is widely known among mortal people). Besides, when Magran talks about Godhammer during Council of Stars, she speaks as if she has nothing to do with Godhammer in Durance's opinion (Woe stuff? Even one of his ending mentions that). All stuff looks like mistification and no one knows what really happened fifteen years ago. And if we take some theories from Great Western Stag book things are more than strange. Well, Wael doesn't even know where Hollowborn souls go if we choose his option so I think gods have some limited knowledge of the world. Gods live in the Beyond called Hel. It is very similar concept to Fade from Dragon Age universe. Edited by White Phoenix, 14 January 2016 - 10:50 AM. I am not sure it was Magran who hid her involvement in Saint's War. I understood that she wanted to hid Woedica more than herself (knowledge about Magran's work during war is widely known among mortal people). "I was able to get Durance to see that Magran had conspired with Woedica in creating the Godhammer, and that her refusing to speak with him wasn't because he had wronged her, but rather was because she had intended him to die with the other Godhammer engineers, in order to keep secret her direct involvement in Eothas's destruction." "Magran is the Aedyran name for a goddess of war and fire. Magran's priests commonly employ firearms, and rumors among Eothasian clergy support that they even helped construct the Godhammer bomb used to destroy Saint Waidwen." "Word came to the Dyrwoodan defenders that Waidwen set his sights on Halgot Citadel. Resolved to end the war, a team of priests and engineers devised an explosive intended to obliterate the rogue deity." Still I don't understand why she had to hide herself as she had helped to build/bless Godhammer. Or maybe she wanted to hide the fact of working together with Woedica. Direct involvement would have been if she had taken an avatar like Eothas, but we know there was some kind of divine pact to not interfere directly into mortal affairs. So, Magran priests are dead because she didn't want them to know Waidwen was killed by her? So, why many people talk about Godhammer and building it by Magran priests with others? Shouldn't it be a secret then? Besides, Magran's cult in Dyrwood is very strong because of her involvement in Godhammer. And Hadret's revolution too. Ok, if it were only rumors, why she still hid herself as people were talking about her? Did she wanted to hide not her involvement but a fact of killing her followers in detonation? She is a goddes of war at all. What's more, lore book says everything as rumors, but in-game everyone is saying: "That was Magran who blessed the bomb and destroyed st. Waidwen." Edited by White Phoenix, 14 January 2016 - 01:29 PM. Exactly! Does a god need to be on the level of the Abrahamic god, all-knowing all-seeing creator of the world? Or can they be on the level of Greek gods like Zeus, pervy horn-dogs that go around creating more gods by shacking up with mortals? In some real-world myths, even mortals become gods, so why are the Eora gods not gods because of the method of their origins? Why do souls, magic, and reincarnation require the existence of a divine power? Philosophically speaking that is. Consider Buddhism: while many varieties recognise various godlike beings, they're subject to rebirth rather than in control of it, and in no way 'necessary' for it: if the brahmaloka was suddenly completely depopulated because all the 'gods' became enlightened and entered nirvana (or, alternatively, screwed up really badly and were reborn as mortals), the wheel of rebirth would keep on turning just like it always did. I would add to the list of things she'd want to cover her will to sacrifice her faithful to pursue her egoistic goals. The Godhammer was not designed to destroy only the flesh, but also the soul—and she was willing to destroy twelve of her faithful, body and soul, to broaden her influence in the Dyrwood and kill off a rival deity (according to the lore book, Eothas and Magran never really saw things eye to eye anyway.) A deity that acts like that wouldn't inspire much faith and loyalty, I guess—and I doubt she'd have gotten half as much devotion in the Dyrwood if her scheme had been revealed. Moreover, if Eothas had indeed taken possession of Waidwen's mortal body in order to march on the Dyrwood and put an end to Woedica's plan and the workings of the Leaden Key—and if the other gods were still oblivious as to both ("both" being Woedica's plan and the fact that Eothas was actively opposing it through his otherwise inexplicable actions)—by killing him off Magran did Woedica a great service. She made it possible for her to blame Eothas for the Hollowborn and would vicariously be responsible for the phenomenon, as well as for killing off a benevolent god on a rightful crusade (blaming him for the terrifying crisis thereafter to boot, which in turn caused the Purges and resulted in the death of several of Eothas's devotees), and favoring the return to power of the tyrant goddess. Add the wanton sacrifice of her faithful to the mix and you'll get a drink I suspect Magran wasn't eager to sip. Edited by AndreaColombo, 15 January 2016 - 12:46 PM. Thanks, guys. My understanding of Durance's quest nature is very clear now. Been thinking about the whole gods manufactured thing, and I wonder if we ain't got it all backward or something. Thaos never says that's what they were doing, maybe they weren't trying to make gods but were attempting to remake them or it?? What if all the souls are broken remnants of some god that got shattered, giving rise to the kith races? They seem to break up, merge together, pick up pieces etc, maybe they are all parts of one whole, or at least once were? That everyone is a part of the Creator-God? Dum dum DUM! That's New Age if I've ever heard it! xD I could be! But I don't think there's enough in the game itself to support this theory. It does make sense, though. It does sound a lot like "Universal Conciousness" and other New Age stuff like that doesn't it? :D But it would explain why the Engwithans didn't find any gods, they were looking in the wrong place. Or maybe they did find it, and the creation of the gods was an attempt to reverse the situation? We know that the souls in Eora seem to be breaking down over each reincarnation, becoming less, maybe this is due to the broken pieces slowly breaking down even more? And the Engwithans realised this and were sticking themselves together to create a more stable form? And then it raises the question of what or who broke them in the first place?